Buy this awesome app now for $19.99 only! Save any attachments, such as image files, into a directory of your choice. Customizable sorting and sub-directory creation, based upon date. Options for managing your email attachments in a breeze. Buy this awesome app start from $1.99 ! Async PowerPoint Remote is a PowerPoint remote presenter for iPhone/iPod. Users can navigate slides with gestures while doing presentation. With Async PowerPoint Remote, users can control presentation directly from iPhone/iPod Touch using WiFi. Async PowerPoint Remote also provides features of drawing graphic annotation on slides to attract audiences. Navigate slides with finger gestures. Annotate graphic symbols on PowerPoint slides. App - Mac, Windows, iPhone, iPad, Android. Made - For your daily use, facilitate your daily life . Easy - Easy to use, intuitive user interface. an email management tool that can save your attachment with only 3 clicks. The program extracts mail attachments from your mailbox using a set of filters and saves extracted files to any selected folder on your disk. A set of options can help you to customize the output folders according to your needs. Depending on filters, the Attachment extractor sorts out the extracted attachments by dates, contents of the message subject, types of attachments. Extracted files can be either put into subfolders matching the folders of your Mailbox or catalogued by dates. After processing mailbox with Attachment extractor for Mail, you will get a structured catalogue of attachments for further reference. Auto Rename attachment files in the event of duplication. Generate and Show attachment extraction report. Mailbox - select the mailbox's folder that you want to extract (save) attachments out. Directory - select the local directory that you want to save the extracted attachments. Save - set options and then click to process attachments. 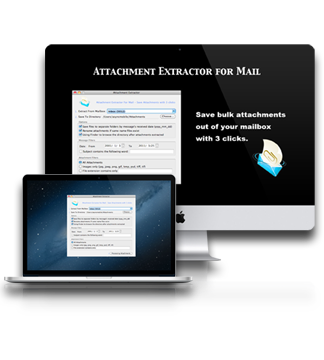 Full Version - After purchasing, Attachment Extractor for Mac should be automatically downloaded and installed on your Mac. Look for Attachment Extractor in your "Applications" folder, or check the "Purchases" tab in the Mac App Store to re-download the application for free. Trial Version - Run the installer (DMG file) on your MAC to start installation. Follow the on-screen instructions. The installer will install the attachment extractor on your MAC. a PowerPoint remote presenter for iPhone/iPod/iPad. Users can navigate slides with gestures while doing presentation. 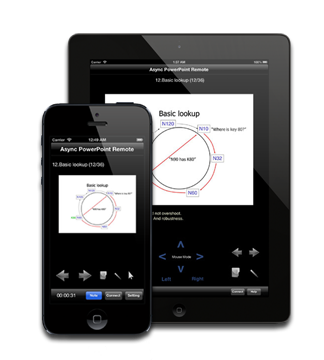 With Async PowerPoint Remote, users can control presentation directly from iPhone/iPod Touch using WiFi. Async PowerPoint Remote also provides features of drawing graphic annotations on slides to attract audiences. Shake to Move Next Slide. Quick to Jump to Desired Slide. Time Slides with a Presentation Timer. Easy to Connect PowerPoint Remote Server with iTune Bonjour Protocol. Support most versions of PowerPoint in Windows and Mac OS. On Windows XP/Vista/7/8 - Download download and run the PPTSpeak Server. Run the installer (MSI file) on your PC to start installation. On Mac OS X - Download download and run the installer (Zip file). The installation will create the program "MACPPTS.app" in the "/Applications" folder. On iPhone/iPod Touch/iPad - Use "Async PowerPoint Remote" to connect PPTSpeak Server" on your PC and MAC. NOTE: Currently, the annotation and mouse features are not supported on Mac OS X!! WiFi connectivity to your host PC or MAC. Q: Does the app remove the attachment from the email or just "copy" to the selected disk? The attachments are just copy to the selected disk. All attachments are remaining in mails. Q:Does Attachment Extractor allow the deletion of exact matches as part of the process? The attachment extractor is behavior like an attachments saver. Our attachment extractor just can save attachments out, no delete, no replacement. Q: Can attachment extractor be automated, therfore saving all attachemnts to a folder without user interaction? Currently, the attachment extractor can not be automated. Q: How do I connect to that server? When you click on the IP, the iPhone will try to connect to the PPTS Server. If the network has problems, e.g., blocking by firewall or NAT devices, the warning message will be shown in your iPhone/iPad. Please disable your firewall on PC or MAC OS. We are suggested that you don't use 3G to connect the PPTS Server due to firewall issues in routers. Using WIFI to connect to the PPTS Server directly is good solutions. If your Access Point is setting with NAT (Network Address Translation) or Firewall, the iPhone will be blocked. Then, you can't connect to the PPTS Server on the Mac. Q: Can I connect the PPTS through wi-fi connection with MAC directly? Please follow the operations listed in the user guide download to connect the PPTS through wi-fi connection with MAC. As a professional provider of high quality and low priced mobile software solutions. We are always glad to hear feedback from my customers. AsyncMobile Software was established in year 2010, and has grown to be a professional provider of high quality and low priced mobile software solutions.